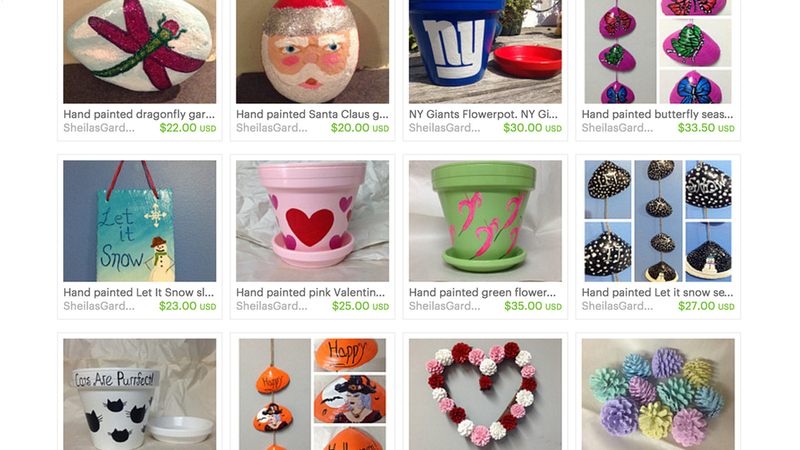 Hand-painted flower pots, seashell wall hangings, decorative items. Shop online. Handcrafted decorative pillows. Shop online or at select markets. Landscape rescue, home cleaning & organization, party prep & clean-up, interior &, exterior painting, murals & wall design, furniture restoration & creation, sign creation. Location - various (contact online).